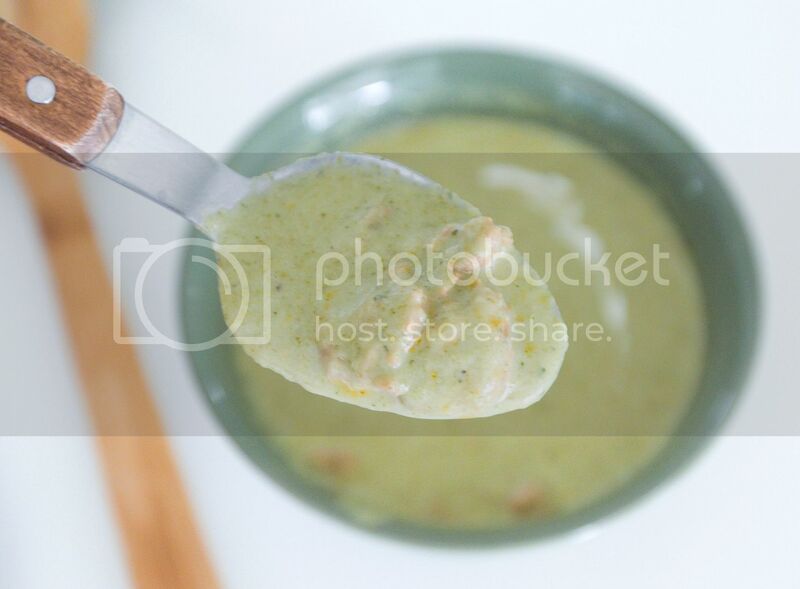 This is my version of broccoli soup - creamy but mixed with chunks of chorizo for a more satisfactory bite. The use of spicy sausages along with smoked paprika and some black pepper gives this soup a kick, definitely warms you up on a chill day. In a big pot, drizzle 1 tablespoon of olive oil and turn to medium high heat. Remove the chorizo from the casing and break into smaller bite size pieces. Add the chorizo into the pot and sear till fully cooked through. Scoop out the chorizo for later use, leaving the oil and brown colored flavorful bits inside the pot. Add 3 tablespoon of butter. Peel and dice the onion and into the pot along with salt and pepper. Sear for about 3 minutes. 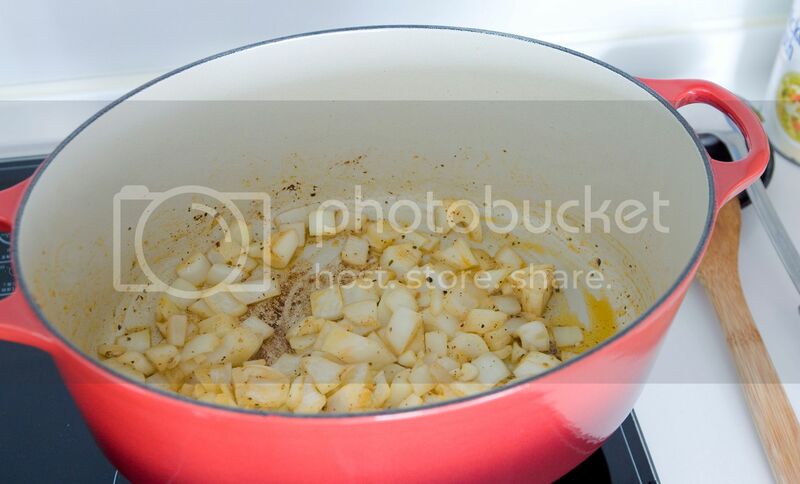 Peel and finely chop the garlic cloves, add to the pot and cook for another minute. Peel and discard the tough fibrous outer later from the broccoli stems. Chop the broccoli into medium pieces and add into the mixture along with 1 more tablespoon of olive oil. Sprinkle in the flour and cook for one minute till the color turns yellowish. Pour in the chicken stock, bring to a boil then lower the heat to keep it simmering slightly. Cook for 15 minutes or so till the broccoli softens. Taste and see if more salt is needed. Turn off the heat and wait till the soup cools down if blending with a standalone blender in batches. Transfer the blended creamy soup back into the pot and pour in some heavy whipping cream. I used about one cup if remembered correctly. However, adjust the amount based on how milky or dense you would like the soup to be. Sprinkle in a few dashes of smoked paprika and bring the creamy soup back to boil again. Once ready, lower the heat to keep it warm. Add the chorizo pieces back to the soup. Decorate with heavy cream before serving. This broccoli soup can also be served with toasted bread, the kind that can soak up all the flavors when dipping in. 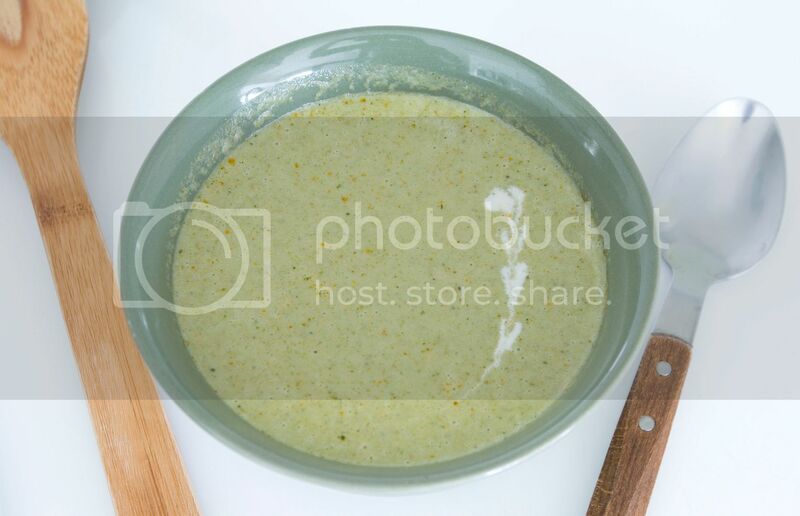 Always love an easy broccoli soup like this! 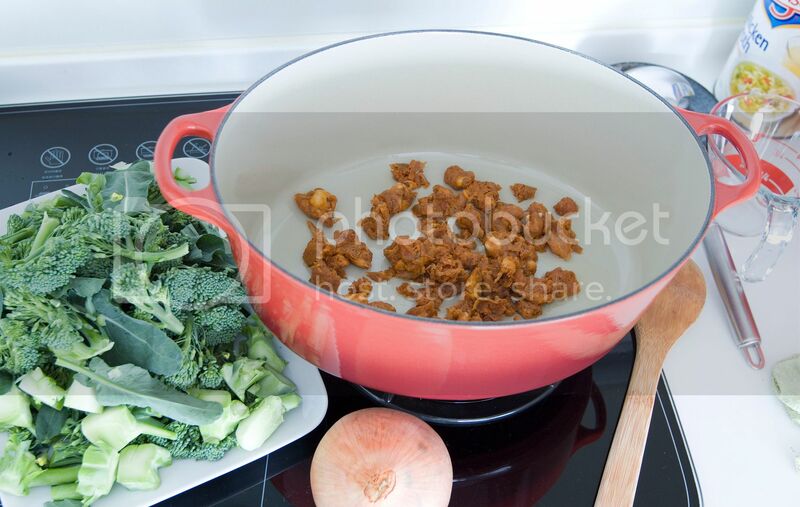 Even without the chorizo, it will taste so broccoli-good!